Contains neon at reduced pressure. 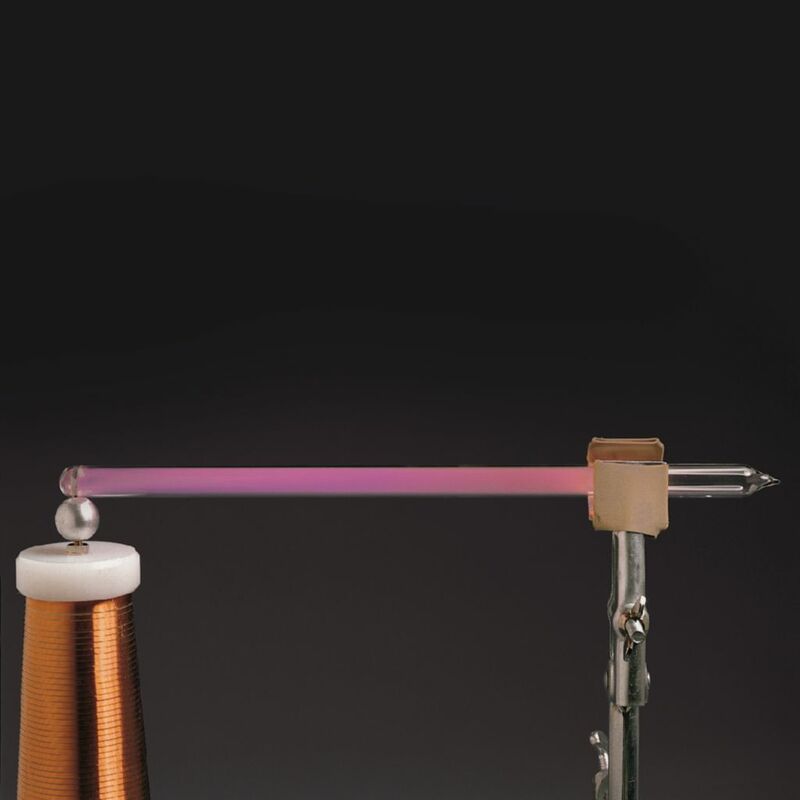 The neon gas glows when the tube is held in, or passed through a high frequency field, or a high voltage field, even though the tube has no electrodes. Please Note: Not recommended for use with anything that produces a voltage higher than 75,000 volts.